For someone looking to develop a hydroelectric system the swimming holes, waterfalls and long stretches of flowing river are ideal to do the trick. Those interested can provide power to a small community or be a fun pass time. Water from the river initially flows into a concrete transfer box connected to a micro-hydroelectric system. The transfer box releases the air bubbles, ensuring maximum water pressure flowing through the system. The flowing water moves into an 8 steel pipe, creating the required pressure to turn the Pelton wheel in the turbine that in turn drives the generator. The water then flows out through the pipe and back into the river, returning back to its original trajectory. The private community is an established neighborhood on the mountain top of Escaleras. Apart from 24/7 gated security they offer shared green space with incredible ocean views, tennis court, and a fully functioning helicopter pad. For those that need a quality internet connection, the community offers fiber optic cables. 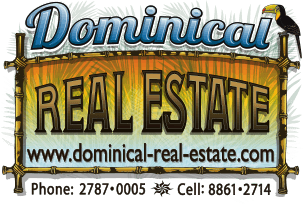 This deal not only provides you with one property inside the community, but 99 acres with both ocean and valley view. Let a Costa Rica Real Estate Service Agent show you around.